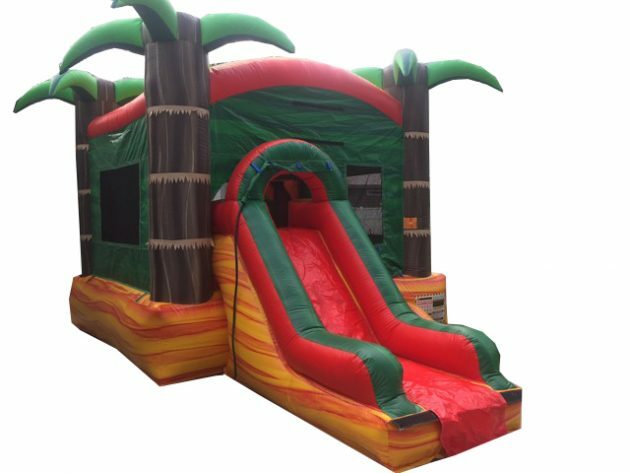 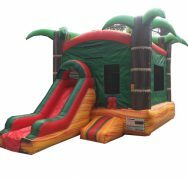 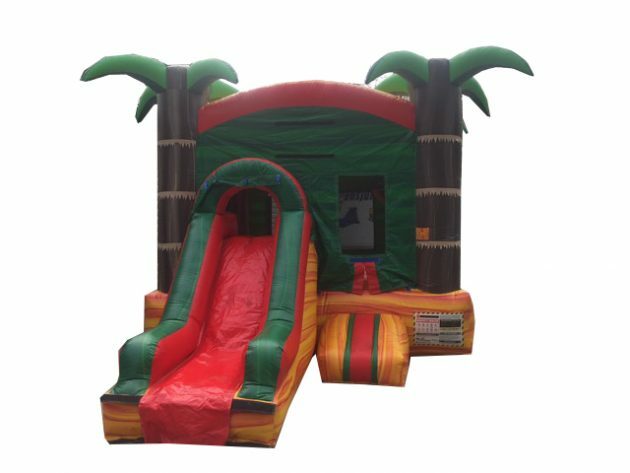 Have a fiesta with this slide + jump castle! 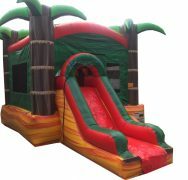 Inside are a basketball goal and jump area, with a slide off the front. 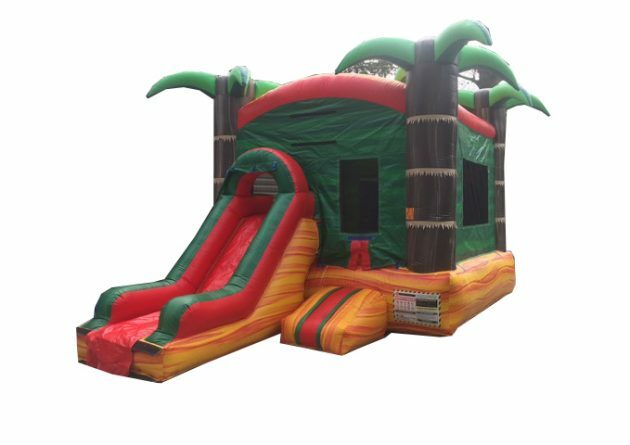 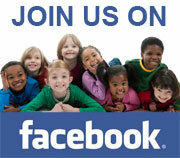 With a non-slip interior and an easy-to-climb ladder on the inside, this item is great for ages 6 and under. 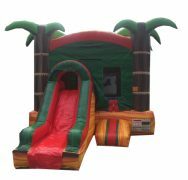 Also available as a water slide; see the Related Products below.